Matcha Pineapple is the first of the Smoothie Numbers  series. They’re quick postings listing the ingredients for making refreshing, healthy drinks in a blender. Ingredients: 2 to 3 cups frozen pineapple chunks; 1 tsp. vanilla; 1 tbsp. 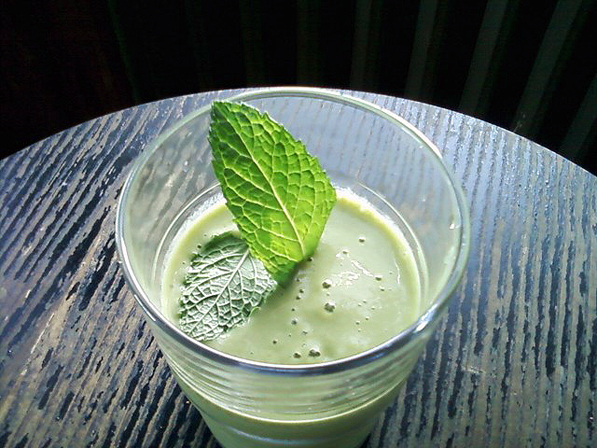 Matcha tea powder; 1 to 2 cups of unsweetened soy milk; 1/2 to 1 tsp. honey; and 1 banana. Visit www.MyLifeRunsOnFood.com to get more recipes and to read more stories.